The apostle John is really a man for our times. He wrote his three New Testament letters in a bold, direct, even dogmatic mannermore so perhaps than any other New Testament writer. Although renowned traditionally as the apostle of love (and he was), he was an authoritative, uncompromising teacheran exclusive-style instructor with a crucial message of truth versus error, which the church much needs to hear in the twenty-first century. This commentary considers Johns clear, simple, unambiguous words from his three brief but profound letters. His themes, some of them reiterated more than once, emerge powerfullysuch as the first letters stress on doctrinal certainty, moral clarity, and the preeminence of biblical love, along with the second letters emphasis on living the truth and the thirds on discerning friends and foes in the local church. 1, 2, 3 John : MacArthur New Testament Commentary by John MacArthur was published by Moody in March 2007 and is our 30751st best seller. 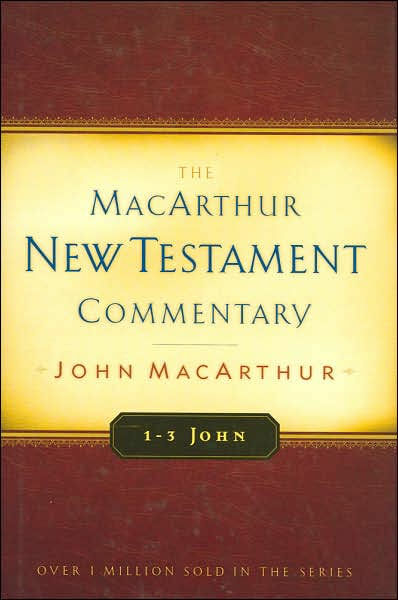 The ISBN for 1, 2, 3 John : MacArthur New Testament Commentary is 9780802407726. Be the first to review 1, 2, 3 John : MacArthur New Testament Commentary! Got a question? No problem! Just click here to ask us about 1, 2, 3 John : MacArthur New Testament Commentary.